I am planning to take a lot of stuff underwater for my upcoming photo expedition. One of the items is a small Go Pro Hero action camera. These cameras are capable of filming in full HD resolution. I hope to film some of the making-of and behind-the-scenes stuff with this camera. I will post these videos here on my blog. Taking video is will become inevitable for underwater photographers since media are changing continiously. An example of this are the many iPad magazines that are coming out at the moment. Luckily most modern dSLR camera are capable of filming in HD resolution too. I cannot wait until Nikon will announce their new professional bodies later this year. Let's hope that some of the rumors about a D4 of D800 are true. Think about all the new possibilities cameras like this can bring us! The problem was how to attach the Go Pro on top of my Seacam housing. I mostly have my Light & Motion Sola LED pilot light on top of the housing. You can buy many different adapters for the Go Pro cameras, but non of them were what I was looking for. 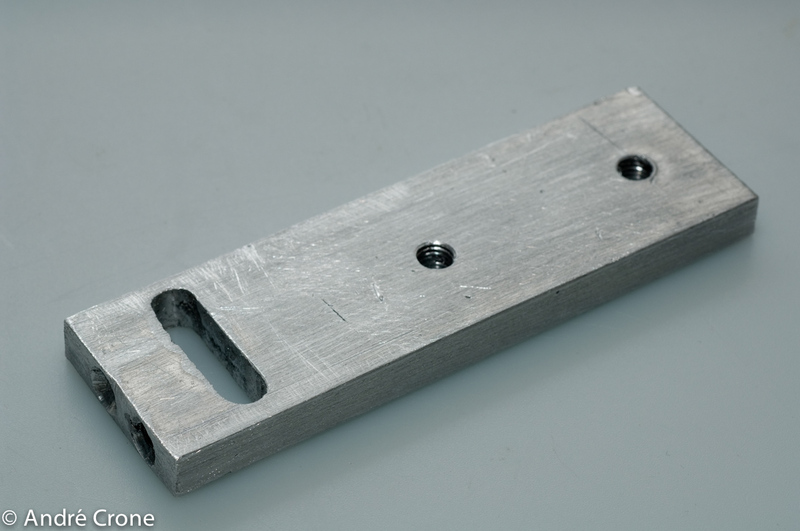 This was a great chance to use my cheap Chinese milling machine and create something myself. The result if a very simple bar that holds all the items that I want to place on top of my under water housing. I machined a slot in the bar that holds one of the standard Go Pro adapters that came with my Go Pro Surf Hero. The adapter is secured by two M4 bolts, that is more than strong enough I would think. I also tapped two M6 threads in the aluminum bar so that I could screw in two Seacam ball adapters that I normally use to connect Inon strobes. I cannot wait until I can use this setup during my next trip. 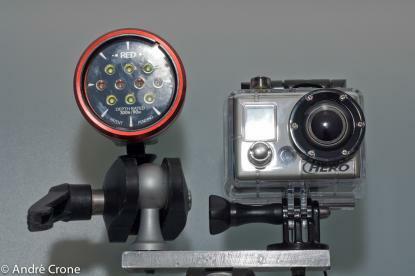 I don't expect to use the Sola 600 in combination with the Go Pro because the LED light is place too close to the Go Pro and that will cause quite some back scatter. But there is only one way to find out if the combination will work; lets go diving and use the gear as much as possible!